We have just released our latest game Endless Doves for the desktop, Hurray! 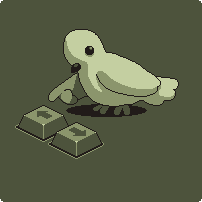 This means, no matter where you are, you can always get your hands on Endless Doves to play either on your desktop or mobile, awesume! We are still testing out this new unity game page, so if you have any issues or bugs to report, feel free to let Tom know by commenting below, and he'll look into them! Click here to Play Endless Doves! Click Here to get Endless Doves for your mobile! Thanks for playing everyone, have fun!